Choosing the right battery can be tricky task. There are a lot of factors to consider. Different brands, different types, and different amperages are all factors to consider. 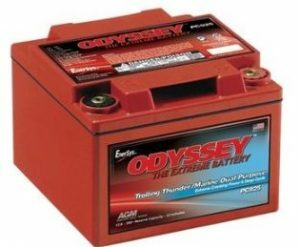 If you are looking for a new battery for your boat or other watercrafts, you should check out the Odyssey. 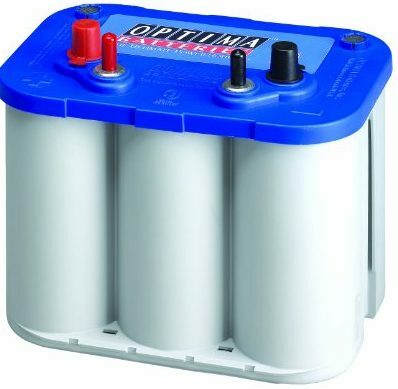 According to most Odyssey marine battery reviews, it is perhaps one of the best batteries on the market today. Most batteries are designed to give you outstanding starting power or tons of power over the long haul. It is what makes both Optima or Interstate batteries popular choices. They both promise to give you major dual power and they both are able to keep up with what you demand of them. However, both of these name brands are going to cost you a decent amount of money. The Odyssey marine battery is different. It offers extreme performance for a reasonable price. Odyssey batteries are also water and acid-free, unlike other brands. This means you will never have to add water. This will make it so that they are completely unable to spill/leak when you are on the water. Also, it means that they are environmentally friendly, even in open waters where vibrations may cause other batteries to spill fluids. 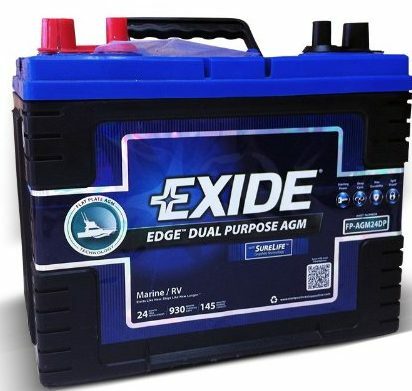 Does An Odyssey Marine Battery Cost More? There are some Odyssey batteries that do cost a good bit of money. One example is the Odyssey PC1800-FT. 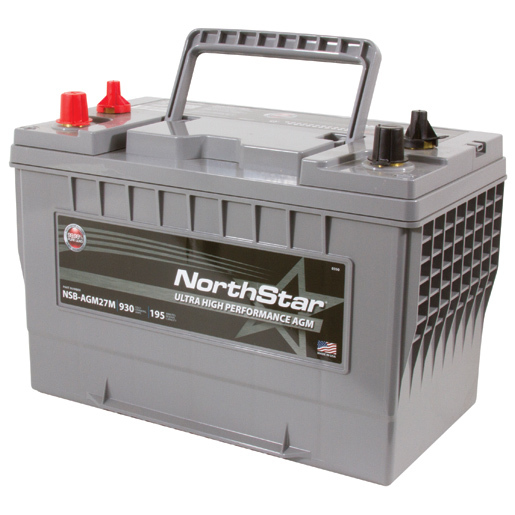 It is a large 12-volt battery that is rated at 214 Ah AGM with 1300 CCA and 1450 MCA, 1600 HCA, and 1800 pulse cranking amps. This means that you can expect double the power of other batteries of a comparable size and in some cases triple, even during extremely cold environments that are -40F. Best of all, you will never need to add water or perform other maintenance on it other than charging it. This battery is designed to give you between 3-10 years of zero issues. If you are not willing to spend a small fortune on your next new battery, Odyssey has batteries that are cheaper. 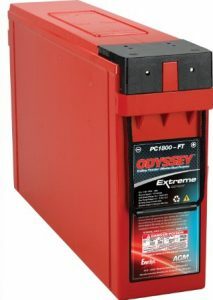 According to the Odyssey battery owner reviews for the Odyssey Extreme battery with a model number of PC1500/34M, you can power any piece of equipment that you own. It is ideal for watercraft and boats as well as SUVs, commercial tractors, and lawn mowers. It can be used on virtually anything that requires 12 volts of power. Its amperage rating is 68mAh and it is an AGM battery. It has a 20-hour nominal capacity even when used with a high-performance vehicle, at a price that is a couple hundred dollars cheaper. 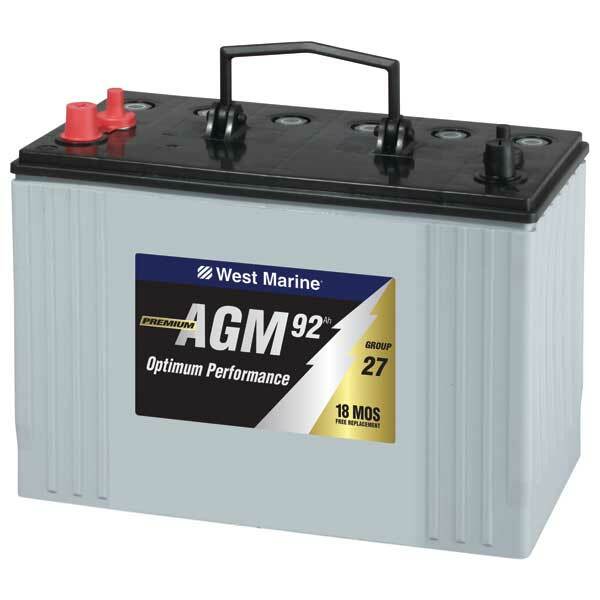 To save even more money, you can choose the Odyssey PC924-M marine battery. When looking for Odyssey marine batteries, reliability is key. Therefore, you will be happy to know that the Odyssey deep cycle battery is very reliable on cold days, warm days, and any days for that matter. They are all American made batteries. Some are able to start in weather that is down around 40F below zero and up to 80C. These batteries also have an outstanding warranty on them. The battery warranty protects you from manufacturer defects or poor workmanship. However, if you take care of your battery the proper way, you should be able to get many years of use out of them. This means you should take care of it and charge it fully. It means you should never leave the battery sitting on your floor. When you want a battery that is dual purpose, maintenance free, vibration and shock resistant, and one that works in extreme temperatures, all reviews point to the fact that Odyssey batteries are quality. 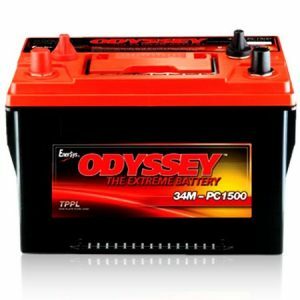 It does not matter whether you purchase a top of the line PC1800-FT battery, the middle of the road battery known as the Odyssey PC1500/34M, or the most affordable Odyssey PC924-M marine battery; your satisfaction will be guaranteed.